Quickly convert RAW files. Converting RAW files with FUJIFILM X RAW STUDIO takes around the same time as taking a photo on the camera, regardless of the performance of your computer, because the FUJIFILM X RAW STUDIO system utilizes the image processor in the camera instead of the CPU in the computer. Retain the exceptional image quality from the camera, including the tonality, color reproduction and noise reduction. Please note, the RAW conversion is only compatible with a RAW file taken by the same camera model as the camera connected to the computer. For example, if the connected camera is a FUJIFILM X-T2, the RAW file must be taken by a FUJIFILM X-T2. 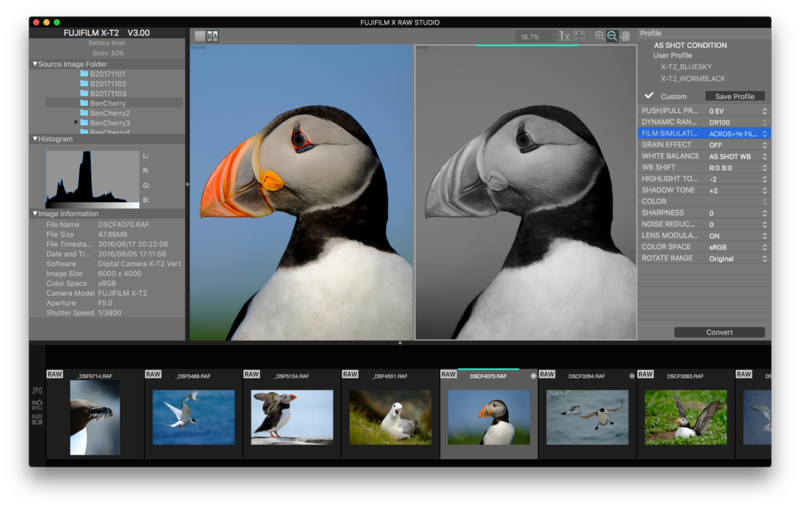 “FUJIFILM X RAW STUDIO” is a free download and is available from FUJIFILM website. 1. 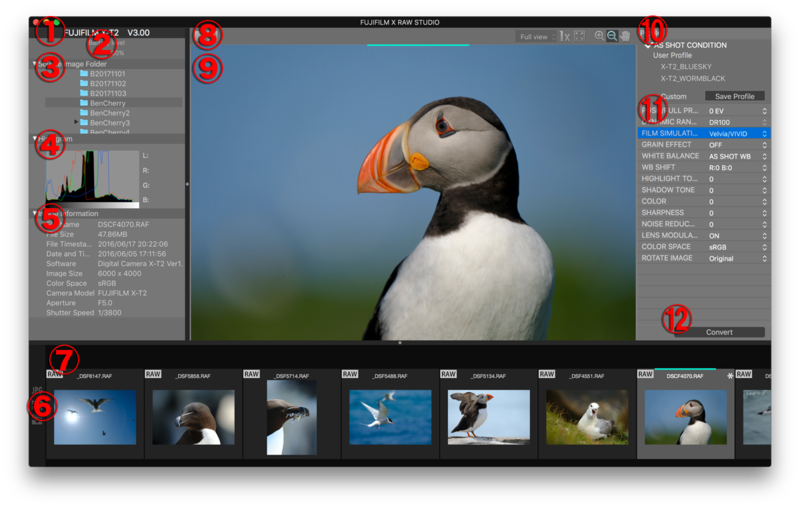 Access the download page for the FUJIFILM X RAW STUDIO suitable for your OS. 2. Follow the download link to download the FUJIFILM X RAW STUDIO Installer. 3. Double-click the FUJIFILM X RAW STUDIO Installer icon to open the installer. 4. Install the FUJIFILM X RAW STUDIO. Install the FUJIFILM X RAW STUDIO by following the instructions in the window. 5. 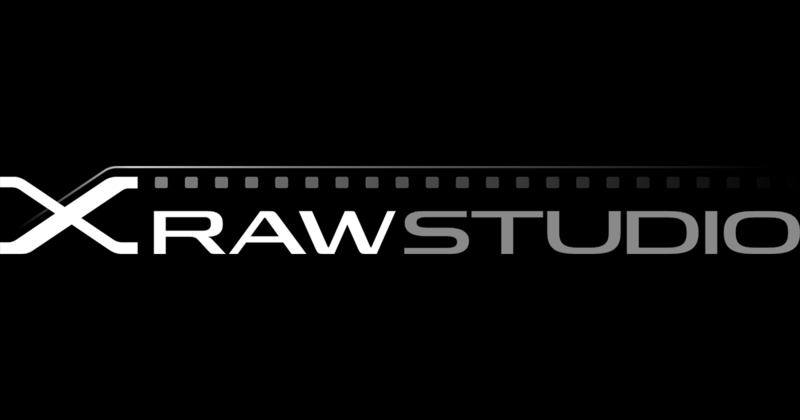 (macOS / Mac OS X) Enable the FUJIFILM X RAW STUDIO to launch. If you are downloading the software using macOS / Mac OS X, Gatekeeper may stop you from launching applications which have not been downloaded from the App Store. You will need to allow the FUJIFILM X RAW STUDIO to launch using the instructions below for macOS High Sierra. Start FUJIFILM X RAW STUDIO from the icon in the Applications folder. Launch “Security & Privacy” under the “System Preferences” menu on macOS. Under Allow apps downloaded from: ensure you have selected ‘App Store and identified developers’ and click ‘Open Anyway’ next to “FUJIFILM X RAW STUDIO” was blocked from opening because the identity of the developer cannot be confirmed. The following warning will be displayed: “FUJIFILM X RAW STUDIO” can’t be opened because the identity of the developed cannot be confirmed. Click the “Open” button to launch the FUJIFILM X RAW STUDIO. 1. Put the camera in USB RAW CONVERSION mode. Following the instructions in the camera’s Owner’s Manual or New Feature Guide, put the camera in to USB RAW CONVERSION mode under the SET UP menu. * The image is an example for FUJIFILM GFX 50S Ver.2.00 or FUJIFILM X-T2 Ver.3.00. The structure and the name of the menu are different from the image between models. Refer the instructions in the Owner’s Manual or New Feature Guide in detail. Use a USB cable to connect the camera with your Mac or PC. If the camera and your Mac or PC are compatible with USB3.0, connecting via USB3.0 cable is recommended. USB3.0 cable allows you to convert RAW files in a shorter time. Turn the power switch of the camera ON. The back LCD monitor of the camera will be suppressed and the LED will flash green. The power saving feature of the camera does not work when it is connected in the USB RAW CONVERSION mode so you will need to make sure the camera has enough battery for the RAW conversion process. The battery level can be checked at the FUJIFILM X RAW STUDIO window. * FUJIFILM X-T2 and X100F are driven with USB bus power assist. Double-click the FUJIFILM X RAW STUDIO icon in the Applications folder to launch. (Mac) Select “Quit FUJIFILM X RAW STUDIO” from the “FUJIFILM X RAW STUDIO” menu. (Windows) Select “Exit” from the “File” menu. : Converted JPEG/TIFF are displayed. : Converted JPEG/TIFF are not displayed. RAW files have to be saved onto the SSD or HDD of the computer. 3. Select a single RAW file to be converted under the “Thumbnail View”. 4. Adjust the conversion settings under the “Conversion Settings Pane”. Once you have selected the conversion settings, the image in the “Preview Pane” will be updated to reflect these changes. The conversion settings applied will automatically be saved as a “Profile” in to the same folder as the RAW file. An image with a “Profile” applied is indicated by the * mark on the thumbnail. 5. Select single/multiple RAW files under the “Thumbnail View” and then convert them. Select single/multiple RAW files on the “Thumbnail View” and then click “Convert” button to convert them into JPEG or TIFF files (RAW files taken by FUJIFILM GFX 50S support conversion into TIFF format). The converted images are saved in to the same folder as the original RAW file. * RAW conversion is only compatible with a RAW file taken by the same model as the connected camera. * RAW conversion requires the use of the camera’s battery. You will need to ensure there is enough charge in the battery to process the conversions. You can check the battery level of the camera under the “Battery Level of the Connected Camera”. FUJIFILM X-T2 and X100F are driven with USB bus power assist. Zoom In ⌘ . Ctrl .